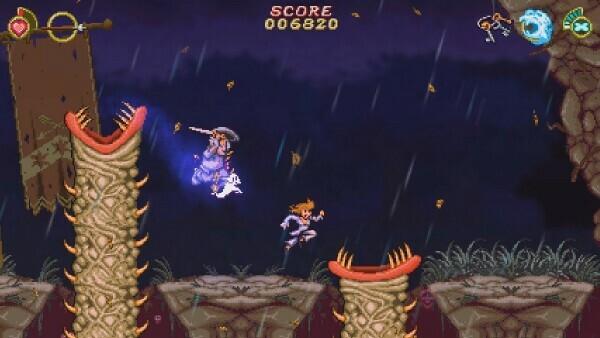 Battle Princess Madelyn, or BP Maddie as I like to call the game for short, is a side scrolling action/adventure platformer. It's also the story of a warrior princess who seeks vengeance on an evil wizard after he attacks her family and inadvertently kills her pet dog Fritzy when he tries to intervene. However, not even death can keep Fritzy from assisting Madelyn, which he does as a sort of undead familiar, attacking enemies and also reviving Maddie should she run out of HP. 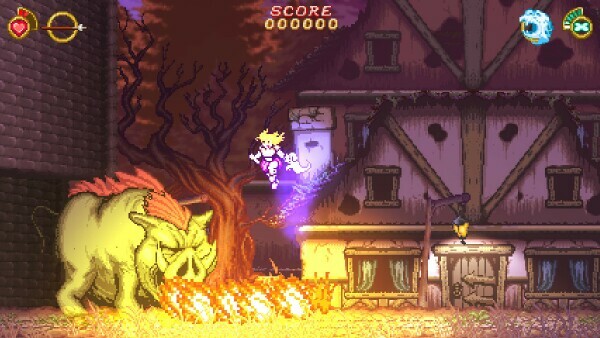 The game also has a nice origin story as the head developer's daughter wished to be the hero of one of her father's favorite games (guess which one? ), but acquiesced to herself that "girls can't be knights." Instead, he inserted her into this game as the heroine to teach her that girls can be knights, princesses, or whatever they want to be, which-to-be-honest is pretty cool. 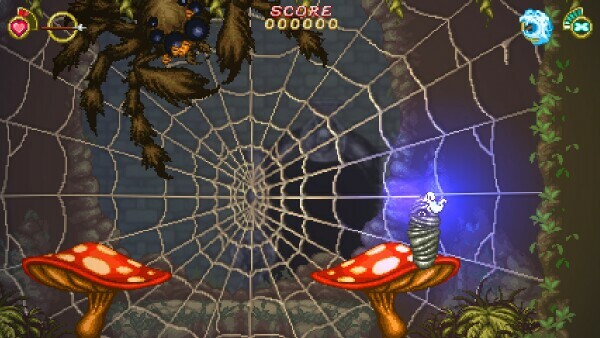 Players can choose from a linear style Arcade Mode that resembles Ghouls 'n Ghosts, or a Metroidvania style Story Mode that's more like Disney's Quackshot for the Sega Genesis. Either way, players are offered a lot of content to sink their teeth into from the get-go! But how do both modes play? And just how difficult are both of these modes? Arcade Mode and Story Mode are both well done; Arcade Mode is a standard, as-you'd-expect, left to right, try not to die affair. Players begin with Fritzy's homing attack already enabled (Story Mode does not grant you this convenience, however). Just hold down the attack button to charge, let go, and Fritzy will find and eat the nearest enemy at the cost of some MP. 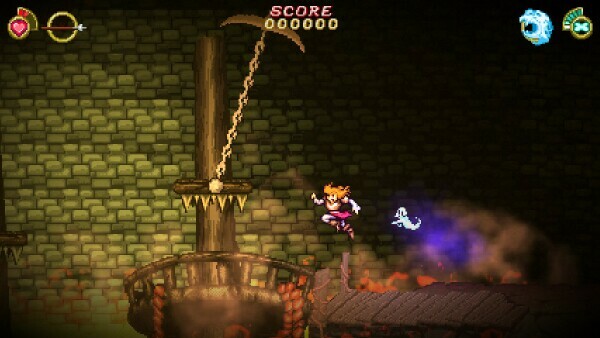 Using this ability too much will prevent Maddie from reviving and send players back to the beginning of the board; players have as many tries in Arcade Mode as they like. If there's a condition to get a Game Over screen, I haven't found it, so younger and casual gamers will enjoy this. Story Mode starts players out with only the classic spear, Fritzy (who can only revive Maddie), and a temporary companion. 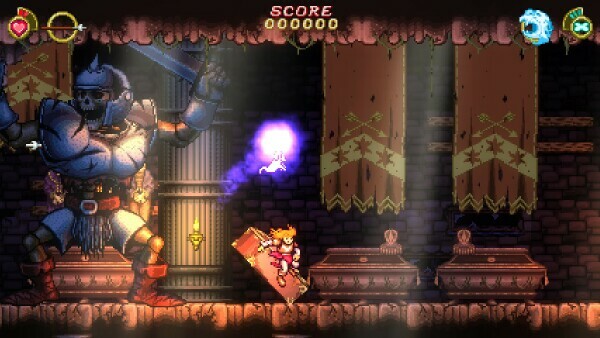 Players will need to unlock weapons, items, and abilities as they progress and they will need to revisit certain areas after obtaining the aforementioned items and abilities. I haven't progressed far enough to find everything Maddie can use, but multiple weapons, and double jump boots exist, as well as spells for Fritzy (based on NPC convos). 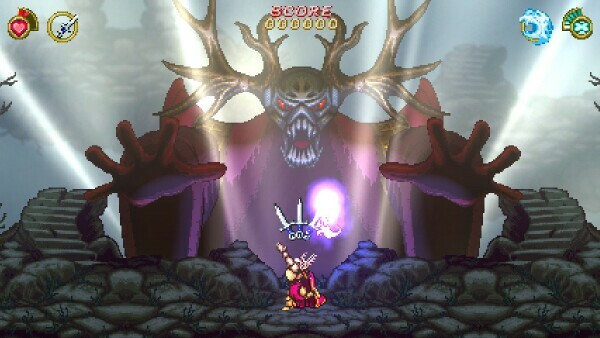 Similar to Arcade Mode, players can re-try areas as many times as they like at the expense of restarting from the beginning of an area. The framing device of the Story Mode is a really cool update of a film classic. Tell me if this sounds familiar: Story Mode begins with a sick Madelyn being visited by her grandpa. Grandpa wants to read her a story, but Madelyn would rather play "Buildykraft." Nevertheless, the loving gramps convinces her to give the story a try, except instead of Cary Elwes, the hero of this story is none other than Maddie. As a big fan of the movie that inspired this scene, I really enjoyed this cut-scene, which set the tone of the game and preemptively let me know that I was in for a good time. BP Maddie isn't just clever and witty, it's beautiful to look at and listen to! 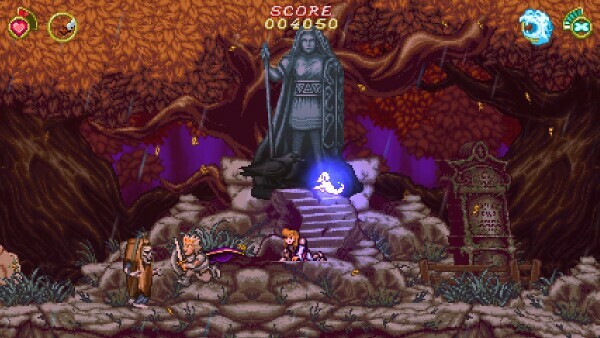 The graphics and soundtrack resemble a Genesis game more than anything, but a sweet mid 90s Genesis game! The environments are unbelievably good looking for the Sega/sprite/retro style and areas like the castle courtyard will have you doing double and triple takes. The soundtrack is excellent too with the right blend of old school and new school. Not only does it perfectly capture both the spooky/medieval vibes in the appropriate areas, but the transition from medieval to spooky and back is also well done. Fritzy is an amazing sidekick capable of both homing in on enemies and reviving Maddie as mentioned before. And he can even be used to help Maddie in other ways. I personally haven't progressed far enough to see all the ways Fritzy can be used to help Maddie, but I would have to imagine or hope that Fritzy could also function as a shield or mode of transportation a la Rush from Mega Man! I love this game, so the only thing I feel like being critical about it is the game's difficulty level. Seriously. I've heard that there's supposed to be a self-scaling difficulty modifier somewhere in the game based on player performance, but that must've gotten the ax because everything after the first area gets wild. 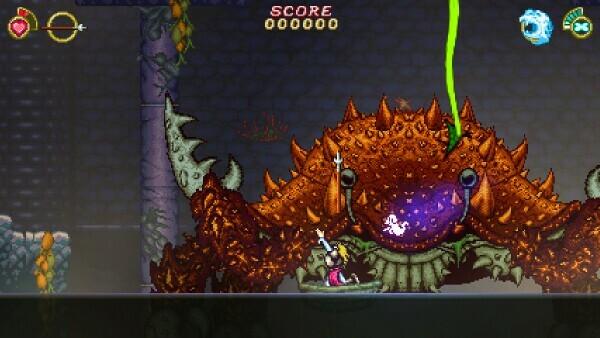 Between enemies that hit with perfect accuracy, larger enemies that soak up damage and counterattack before they can be killed, tricky jumps with enemies waiting to pounce from offscreen, and enemies that can pop up from the background or even underground with no warning, this game shows no mercy. BP Maddie will either forge players into hardened elite gamers or send them to YouTube looking for Let's Plays on how to not get killed over and over again. And remember, when Maddie respawns, she usually goes all the way back to the beginning of the current stage. You've been warned. 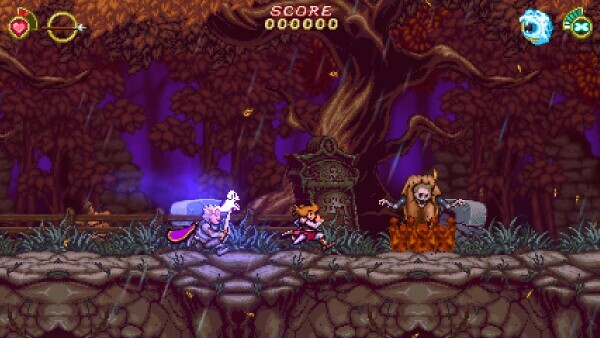 Battle Princess Madelyn is a great game that's both fun and challenging. Whether players prefer the pickup and play Arcade experience or a deeper, exploration-driven Story Mode, there's something here for all players to help them get their old school platformer G 'N G fix. The difficulty deserves a heads up, but it's not enough to keep me away from a few more rounds, so gamers shouldn't be deterred either. 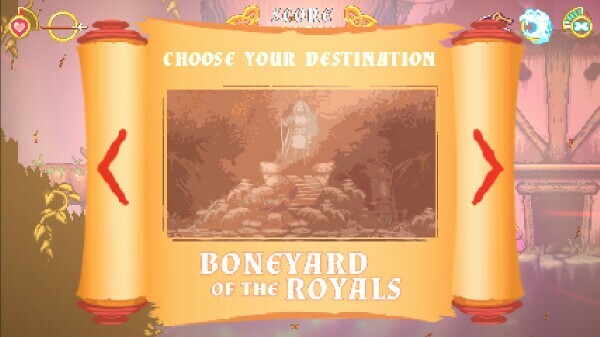 So, out of TOV 5 stars, I'm giving Battle Princess Madelyn a 4.